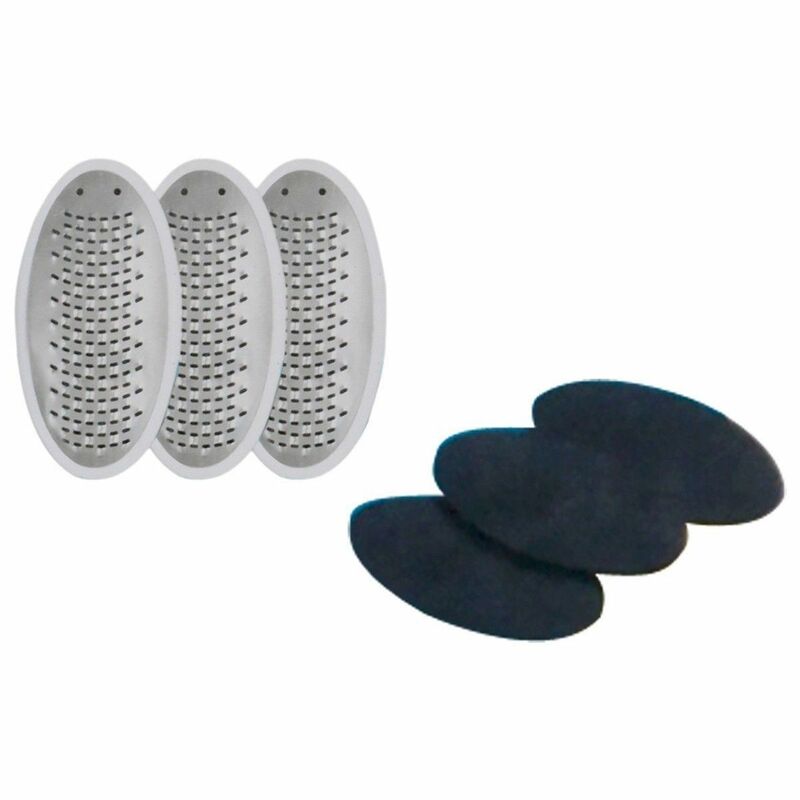 REPLACEMENT BLADES ONLY - 3 BLADES + 3 PADS PEDEGG SOLD SEPERATELY PedEgg is the revolutionary foot file. It's the newest and fastest way to make your feet feel smooth and healthy with NO MESS! The secret is PedEgg's precision micro-files that gently remove calluses and dead skin to give your feet the incredible baby soft look and feel that everybody loves. Two high quality emery buffing pads are included for the ultimate finishing touch. The unique egg shape of the PedEgg not only looks great, but is ergonomically designed to fit perfectly into the palm of your hand for easy and convenient use. Best of all, PedEgg has been designed to collect all the skin shavings in a convenient storage compartment allowing you to use it anywhere with no mess. You and your feet will love the new PedEgg!